Reading Time: 4 minutes VMware NSX-T Data Center is the next generation product that provides a scalable network virtualization and micro-segmentation platform for multi-hypervisor environments, container deployments, and native workloads. It has not yet become features parity with NSX-v, but the gap is closing faster and there are also several new features and capabilities available ONLY on NSX-T. And the product is growing faster: on June was release the NSX-T Data Center 2.2.0 and now there is the new NSX-T Data Center 2.3.0 release (see the release notes). Reading Time: 2 minutes Scality Zenko is a multi-cloud data controller that allows you to stay in control of your data across any cloud. Zenko has been launched on July 2017 to provides a unified interface based on a proven implementation of the Amazon S3 API across clouds. Zenko was built from the ground up to address the challenges of modern cloud application development and data management, overcoming the challenges of complexity and lock-in that come with today’s cloud storage services. 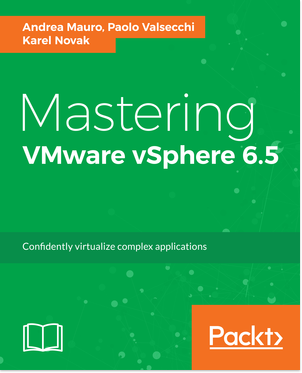 Reading Time: 3 minutes VMware vSphere 5.5 is really close to its End of Support, that will mean no more updates and possible limited support from VMware. The End of General Support for vSphere 5.5 is September 19, 2018. 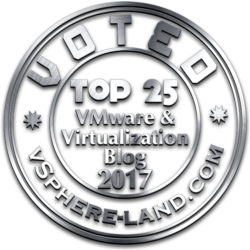 To maintain your full level of support and subscription services, VMware recommends upgrading to vSphere 6.5, or to a newer version. Reading Time: 3 minutes Dell EMC has probably a storage portfolio too rich and with some overlaps, due to the EMC acquisition, and I was quite sure that the Dell PowerVault MD storage series was destined for early obsolescence to be replaced by the Compellent series. But obviously, I was wrong. Dell EMC announced a new PowerVault line: Dell EMC PowerVault ME4. As the previous PowerVault MD series, also the new PowerVault ME4 (very strange name) is targeted for the specific SMB market. 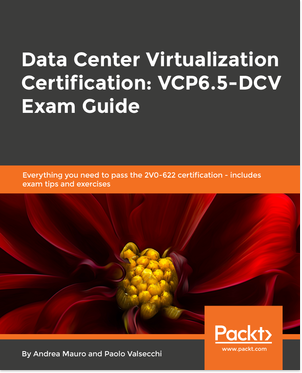 Reading Time: 3 minutes Just a few weeks ago, VMware has released NSX Data Center for vSphere v6.4.2 and now it’s the turn of a new version: NSX Data Center for vSphere v6.4.3. NSX Data Center for vSphere 6.4.3 addresses a number of specific customer bugs. See Resolved Issues for more information. The release notes describe other aspects, but there aren’t new features or specific improvement in this new release. Reading Time: 2 minutes VMware Horizon version 7.4 was released at the begin of this year, and now VMware has just released the new version of VMware Horizon: version 7.6 has several improvements as documented in the release notes. So a really active year for EUC and VDI. VMware has also released VMware User Environment Manager 9.5 and VMware AppVolumes 2.14.2.